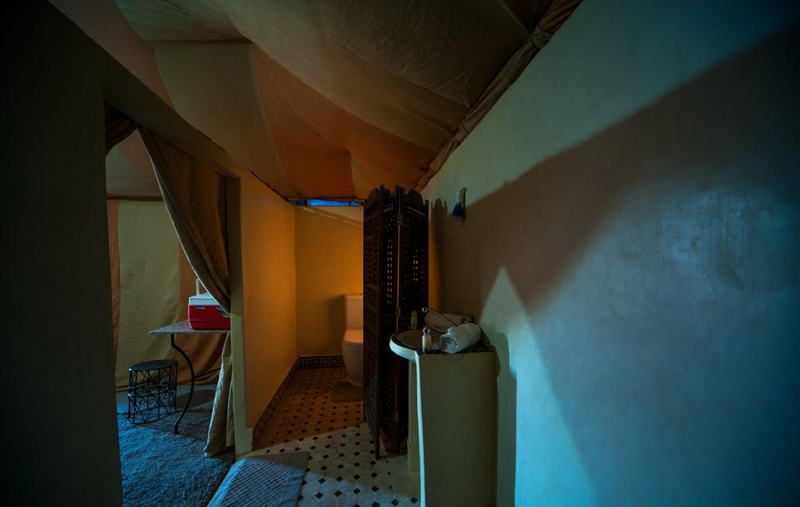 The Erg Chigaga luxury desert camp package from Casablanca is your best option if you are in Casablanca to spend few paradisiac nights in the most exclusive luxury desert camp in Erg Chigaga dunes in the sahara desert of Morocco. 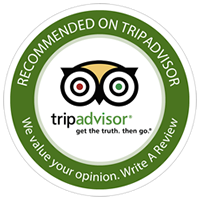 The longer your package duration is, the shorter driving time will be. 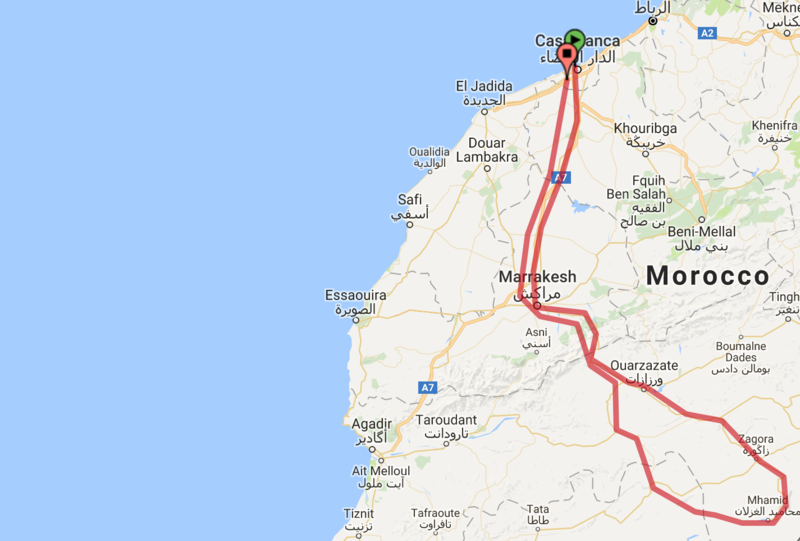 The drive from Casablanca to the best Erg Chigaga luxury desert camp is a bit hard to do in just one day. 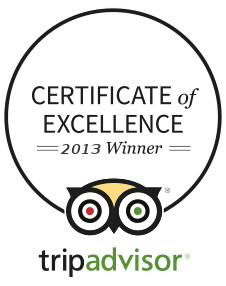 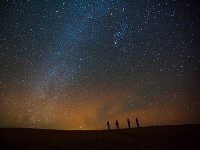 The best thing to do is to have a break night in Ait Benhaddou Kasbah. 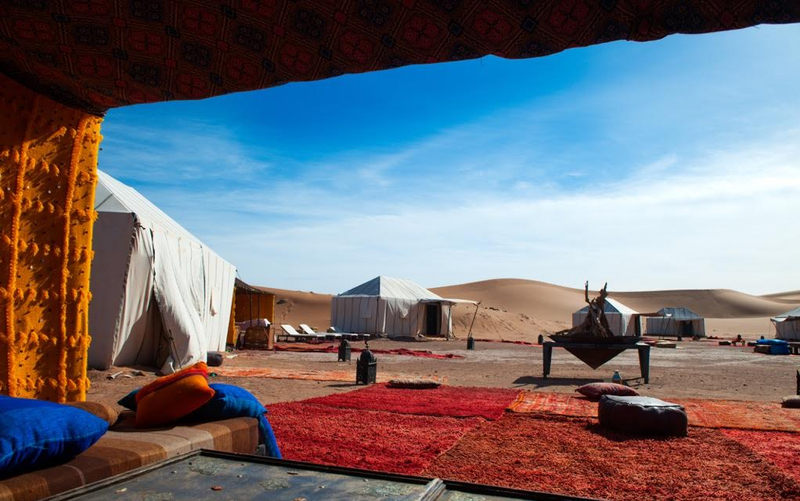 This Berber village has the perfect location and the best luxury accommodations in the area. 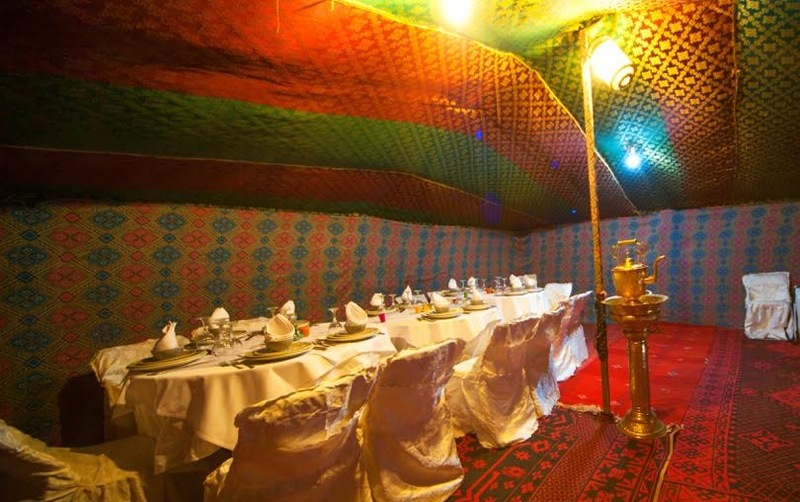 The next day, you will continue to Chigaga luxury camp where our Berber team will welcome you with mint tea following Berber traditions. 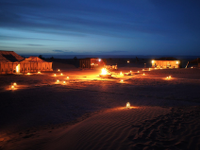 You will spend your nights in the most amazing and exclusive luxury desert camp in Erg Chigaga dunes. 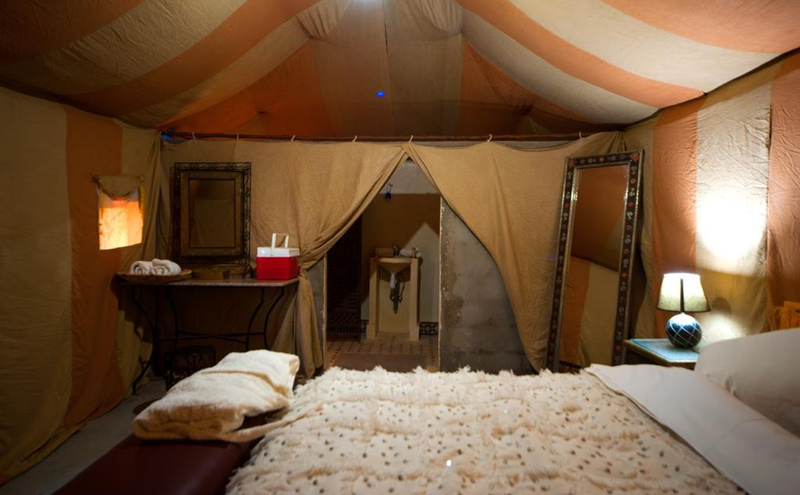 Your luxurious private tent will make you travel deeper in Moroccan and Berber culture. 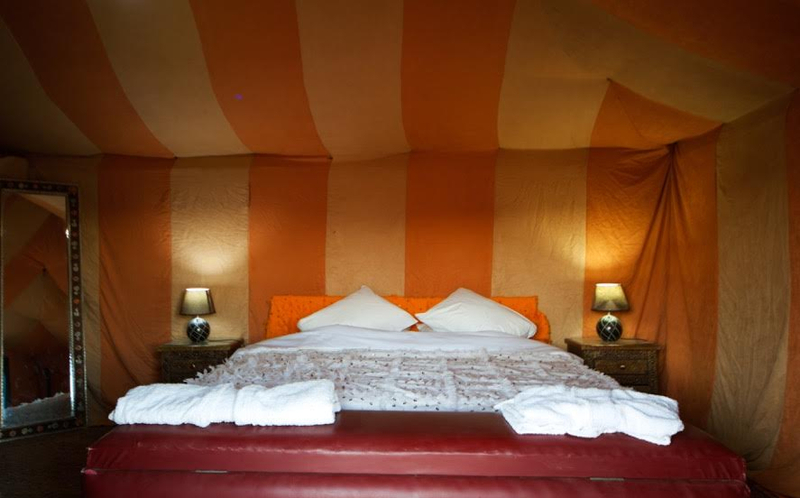 Your tent is a perfect combining between luxury and authenticity reflecting the Berber culture and heritage. 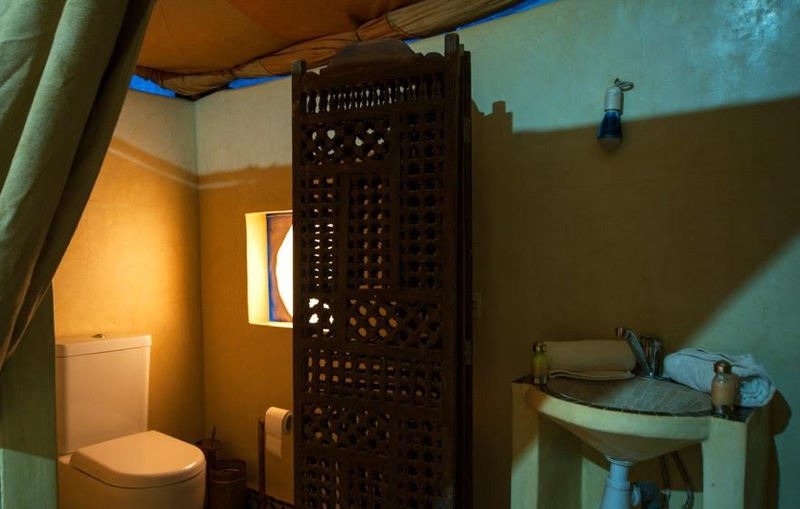 You will have toilets and hot water shower inside your tent. 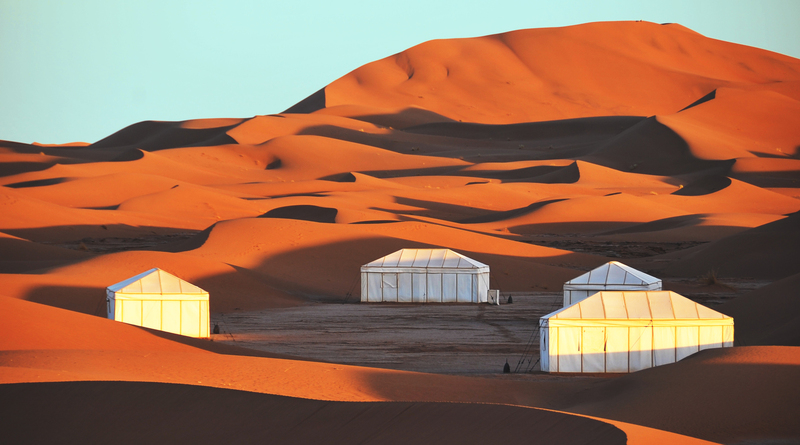 Your days in the luxury desert camp in Erg Chigaga dunes will be full of desert activities. 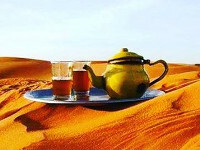 You can choose to just relax and read your favorite book or do some camel trekking, sandboarding, stargazzing and also Berber music around the fire at night. 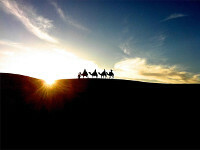 There is also the possibility to do some ATV (quad biking) if you wish to. 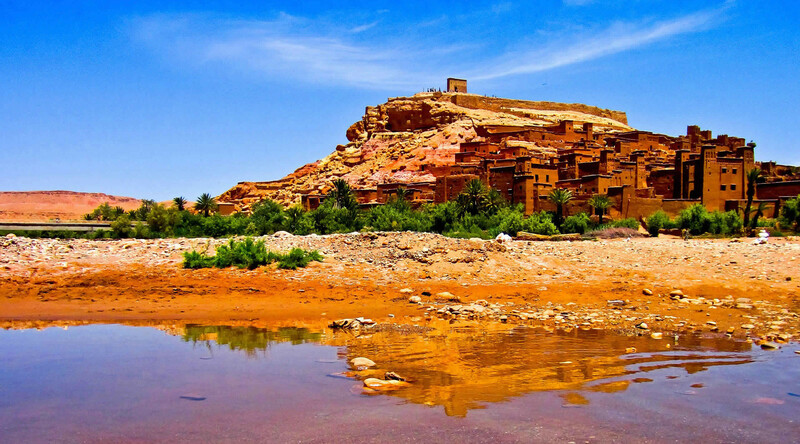 Iriqui National Park was set up in 1994 as a national park in Morocco with 123,000 hectares. 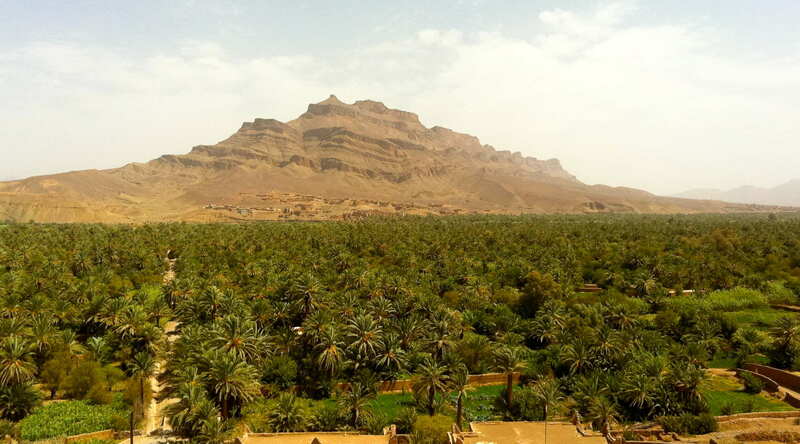 Iriqui National Park occupies the space between the Draa River and the South foothills of the Anti-Atlas, in the provinces of Zagora and Tata. 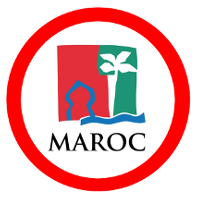 Foum Zguid is a town in Tata Province, Souss-Massa, southeastern Morocco. 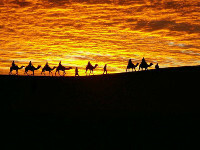 According to the 2004 census it had a population of 9,630, the second-highest in the province after the capital Tata. 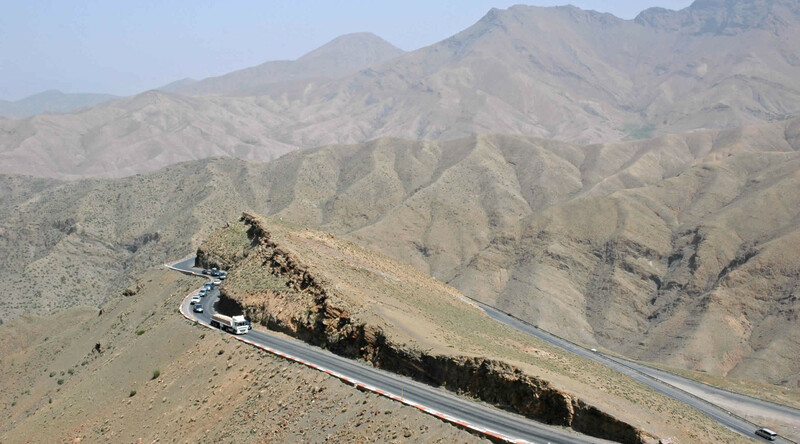 Taznakht is a town in Ouarzazate Province, Drâa-Tafilalet region, southern Morocco, on the road from Ouarzazate to Agadir. 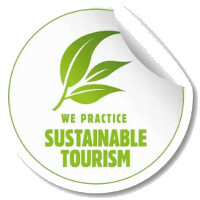 It had an estimated population of 9,149 in 2013, growing from just 3,813 in 1994. 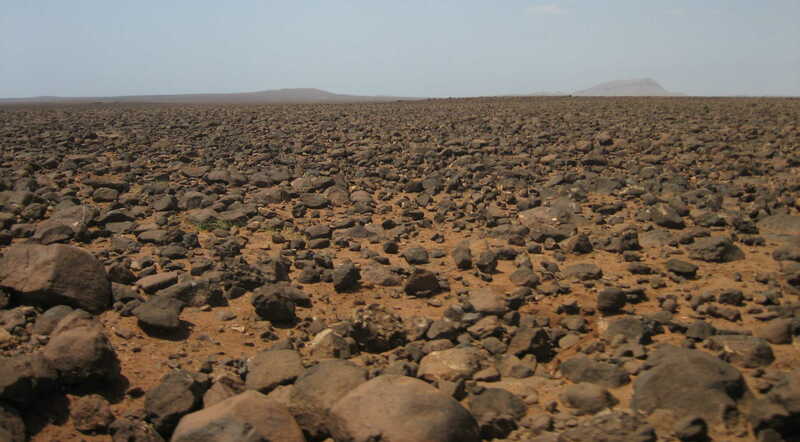 It should not be confused with Tazenakht, which is a village near Errachidia, also in southern Morocco, but more than 400 km further northeast.